Full Gr. 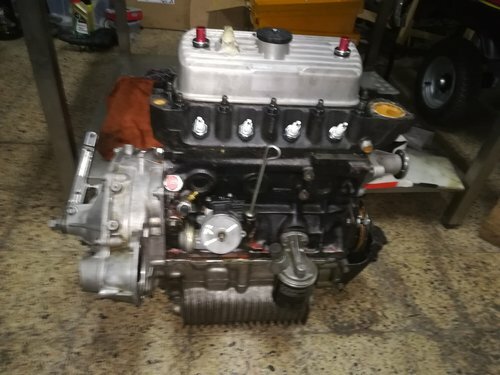 2 1293 CC engine with all the best Swiftune material (pistons, crankshaft, camshaft, rods, lightweight flywheel and clutch, etc.) MED competition head.  Ignition: Aldon Race Distributor, Swiftune rotor arm, Swiftune race condensator. Lumination system. Swiftune close ratio gear box with 4 gears, 2 LSD (3.9 and 4.1), Roller drop gears, H/S outputs (box with straight cut gear) AP Clutch and Paddle plate, Mini Gear Stick. 4 Gaz shock absorbers adjustable. 2 Anti roll bar (front and back). 8 “Revolution” wheels (4, 10x6 and 4 10x6.5) with Dunlop “Minimiglia” Slicks Tyres. 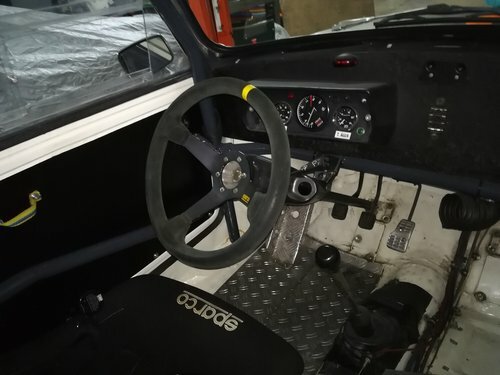 Custom bolted in roll cage with side impact bars and made with attention to chassis stiffening, Sparco Baquet (in homologation time), OMP 6 point harness (in homologation time), Sabelt extinguisher (in homologation time), Stack Tacho, Stack oil pressure gauge, Stack water temperature gauge, Perspex Windows and backdoor, custom door cards, new ATL fuel cell, low weight battery, global reinforcements, etc. 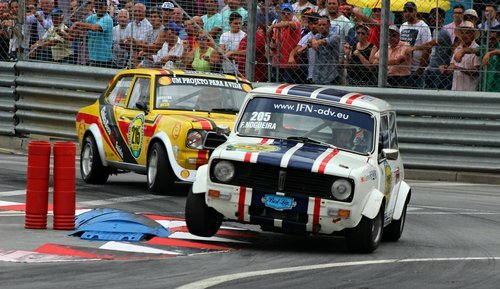 Painted in white with stripes in dark blue and orange, white wheel arches, extinguisher device, remorke belts. 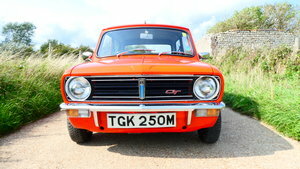 The is car has Portuguese HTP and 1971 road papers and plates It can be used/converted in a road classic. Fully prepared (circuit, hillclimb, trackday, etc) is on the button and ready to compete. 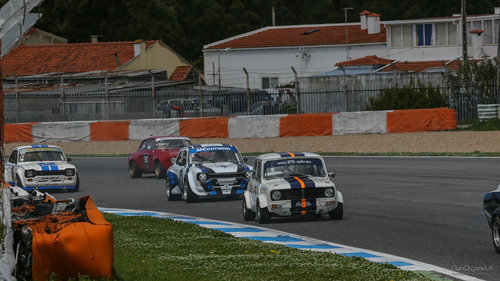 A very competitive car, with an extensive racing history (lots of wins and podiums), that would make a perfect and affordable introduction to historic racing. 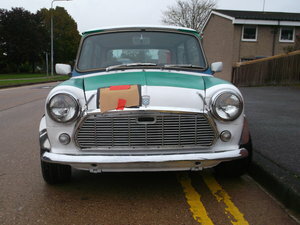 1960 Mini Cooper w/current title!